Looking at the recently release multi-angled video footage of the execution of Rancher and freedom lover LaVoy Finicum, I couldn't help but to think there is so much we can learn from Finicum. Finicum, of course, is the murdered rancher at the East Oregon standoff in January (2016) that ended for Finicum on January 26 when his vehicle with several other passengers was ambushed by a police roadblock before they fired multiple times on the vehicle and murdered Finicum in cold blood after he exited the vehicle claiming he lowered his hands enough to "justify" his murder as self defense. First of all, like it or not, love him or hate him, everyone must agree that the only way to judge the man up until his dying moment is through the eyes of humanity, that is from a human perspective not from the context of the police state. We are conscious human beings first. We have morals, beliefs, convictions and values that the police state tries to flush out of us but that process is still very secondary to the organic feelings, beliefs and convictions of the human being. In fact, the entire Finicum murder event tells a story of deep rooted principles versus blind fear and obedience of the police state. Certain things are debatable but some things are not. People will debate as to what his intentions were at his dying moment or whether his body motion indicated that he was reaching for a gun or not. I personally do not believe he was. I believe he was mindful of his weapon and at most may have even been briefly lowering his hands to get a feel for where it was, perhaps wondering whether the police could see the weapon or not. Who know? He may even have been trying to maintain his balance in the deep snow. The only other reasonable explanation some have suggested for his very slight and brief lowering of arms was that he may have been already injured, in pain or simply unable to keep his hand up high for one reason or another. Either way he did not actually reach for his gun at all, point his gun, charge the police, and he was not an immediate threat to any officers. If they thought he could eventually become a threat at worse they could have disabled him with non-lethal means. Is anyone noticing that police don't disable suspects any longer? It seems they just kill you first then deal with the details later. And so right now we're dealing with the details. I do not believe Finicum was the kind of personality to want to kill police officers. It seems like he just wanted to be allowed to see the sheriff. Perhaps I'm wrong but that's my take. Others will debate that his body motions were enough reason for him to be shot and killed but those who argue this way probably always look for reasons to condone the police state. Nevertheless, while those debates go on let's consider a few thing that are hopefully objectively observable to all including those who hate freedom and support tyranny as well as those of us who love freedom. In his actions to resist BLM's takeover of his land Finicum was acting to preserve freedom not to survive as a slave or “save” himself. Remember that thing called survival instinct? Oh that's right I forget. Most people today defer their survival, existence and “safety” to government and police. They are mindless and purposeless slaves of the system who have lost contact with their own humanity. They are blind observers of the world around them, never really involved in anything meaningful. Instead they are experiencing life as one big entertainment event where the fear of dying keeps them enslaved to a system that threatens them and bullies them around all the time. LaVoy Finicum didn't live by these rules. He DID have purpose, he didn't rely on government or police for “safety” and he wasn't afraid of dying. Finicum set aside the notion of self-survival and was committed to preserving his freedoms and the freedoms of his children. He knew that he had to take action and do whatever it took to preserve those freedoms. His actions were thus altruistic in nature. In his own mind he was probably acting in survival mode but not the kind of "survival" most people think of when they hear the word. Many people will hear “survival” and they will take it to mean simply “not dying”. The survival I'm talking about here means doing what it takes to survive free or preserve the survival of freedom. Finicum wasn't looking to personally survive as a slave. He was not delusional about what freedom is. He understood full well the stakes at hand. Today many brainwashed Americans think they are "free" and they can't see their enslavement for what it is. Finicum viewed surrendering to slavery and corruption as death and standing for freedom at any cost as a form of life. Ask yourself, is living as a slave your version of "survival" and freedom? Another thing we can all learn from LaVoy Finicum is that we need to all think through our actions with purpose before we take a stand for something. Like Finicum, let's prepare ourselves both mentally and emotionally so that in life-and-death situations we act with purpose. Up to his final moment Finicum acted with purpose. His purpose, intentions and cause was thus clearly the force driving him, not his need to “follow the law” or to blindly do as he was told. There's a big difference between someone who wants to simply survive to see another day and is looking only to follow the law even when the law is unjust. Blind obedience is not purposeful behavior and Finicum's actions and behavior were a clear contrast to this blind purposeless state of mind most Americans are in. Similarly, I'm reminded that on December 1, 1955 a woman named Rosa Parks refused to follow the law and give up her seat in the front of a bus to another person just because the person was white. Her refusal to cooperate with an unjust law lead to her arrest and triggered a civil rights revolution in America. Like Finicum, Parks knew her purpose and put it before anything else. In contrast to the Parks situation, what's quietly missing in the Finicum murder is the reaction by Americans and the outrage over Finicum's murder. To say the least, Americans had a lot more purpose back in 1955. So let's consider the purpose-driven model Finicum left for us and use that model to guide our behavior because only purposeful actions have a chance to implement change. Agree with him or not, up to his dying moment Finicum acted without fear. The fearlessness is the one thing that stood out to me when I watched the video of his shooting death. “You're gonna have to shoot me” he says in his final moments showing that he was not acting out of fear in a situation where most of us would have been afraid for our lives. Most of us would have been afraid of the police, afraid of being shot, and afraid of going to jail. Could it be that Finicum's vision for freedom was stronger than ours? Is the fearless drive simply a byproduct of a clearer vision for freedom and a stronger sense of the tyranny we're dealing with today? Or was Finicum simply more affected by the BLM Federal land grab bully tactics that most of us never experience in our daily lives. Was Finicum feeling the direct effects of Agenda 21 and the new world order that we write about all the time? I believe the answer is all the above. Everyone has issues they care about and things that matter most. For that reason the controllers continue the bombardment of mindless entertainment on the masses to keep them clueless and purposeless while mainstream media injects the fear; fear of police and fear of authorities. When police see that you do not fear them they become fearful for their lives because most of them are cowards who really are afraid to die. This is why they wear so much body armor and carry big guns. I believe Finicum showed more courage than all of those officers combined. Anyone can act "courageous" when they have all their backup cops ready to strike with all that military-style gear and bullet proof cars. Finicum had no protection, no military gear and no big guns. Instead he had a fearlessness and courage that comes from having purpose and an understanding and passion for preserving freedom. So aside from these factors Finicum was otherwise an ordinary guy. Perhaps he acted in a way that ensured his killing. Perhaps he wanted to die. Given the cold, hard-headed, vindictive and criminal-minded police state of today one might argue that the FBI and mainstream media released the Finicum murder videos to condition the masses so that they see that this is what happens to anyone who wants to be free and challenge the federal government. Some suggest the Finicum shooting video may serve as a tool to control and scare off the masses from thinking they can be free or from resisting the police state. 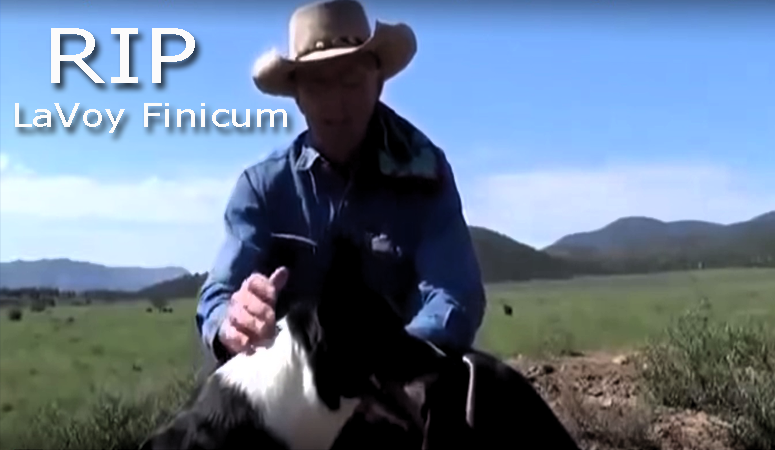 I want to suggest that the video has much more to offer, especially when you watch it in conjunction with other videos that Finicum put out about what his purpose was. Absorb the entire picture and judge for yourself before you consider what lessons there are to learn from the Finicum story.